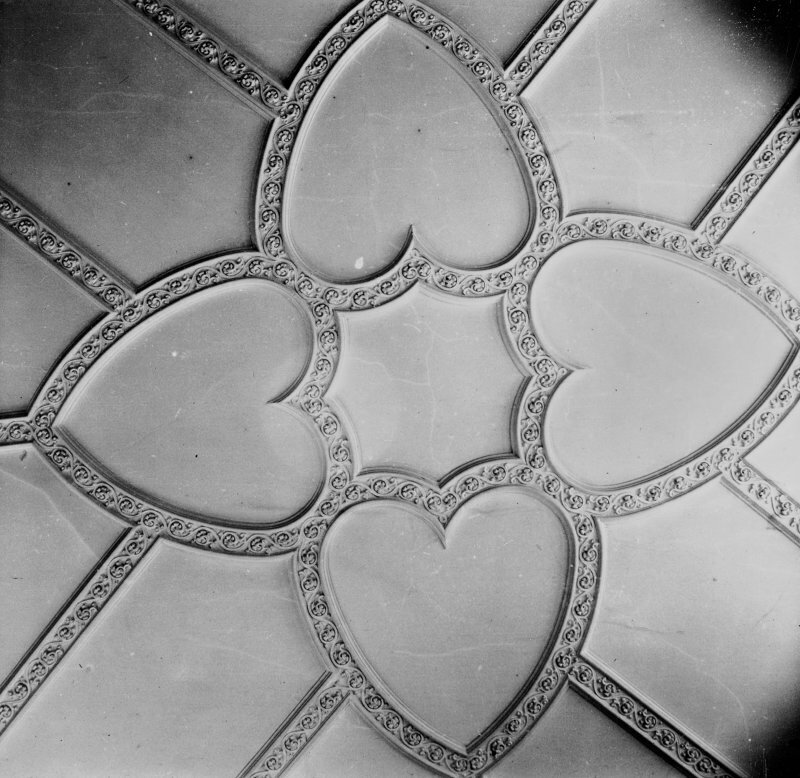 To celebrate Valentine’s Day we have searched our collections for our most romantic images. 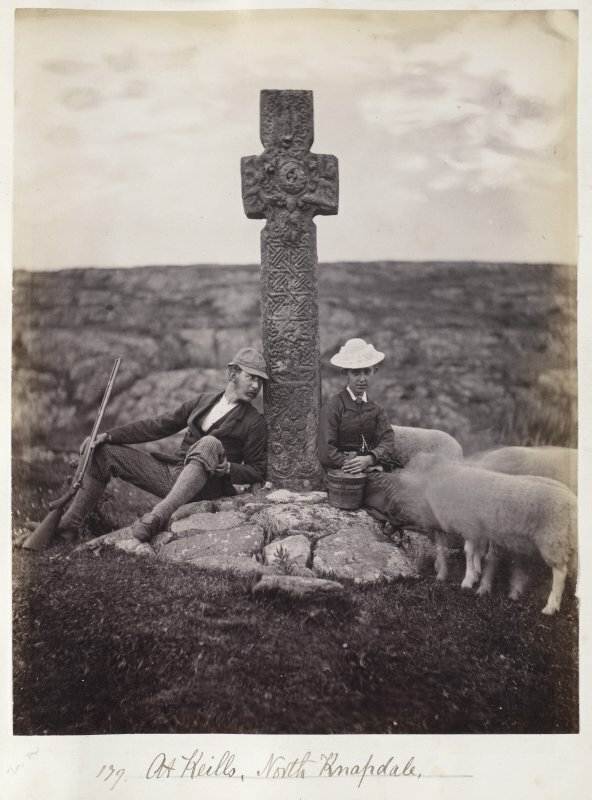 Through our active surveying and recording programmes, RCAHMS adds new online images to the Canmore database every day. 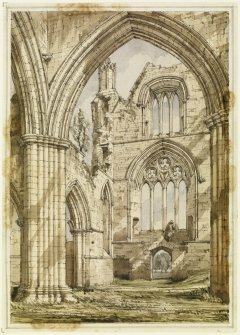 These range from interior and exterior views of buildings to archaeological sites, aerial photographs, and digital drawings. Our survey photographs also provide close up imagery of architectural details, which in this gallery includes decorative cherubs, marriage lintels and even rainwater heads. 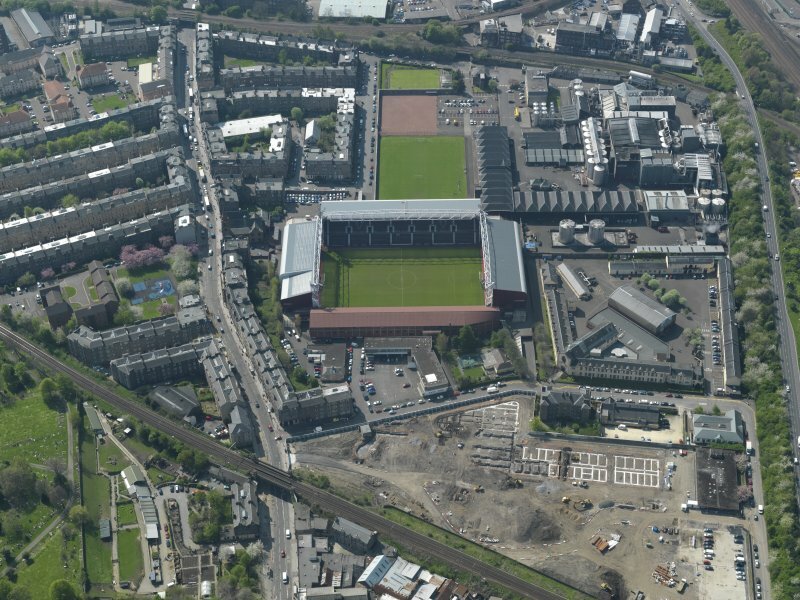 The RCAHMS aerial photography team fly throughout the year capturing spectacular and sometimes unusual views of the Scottish landscape. 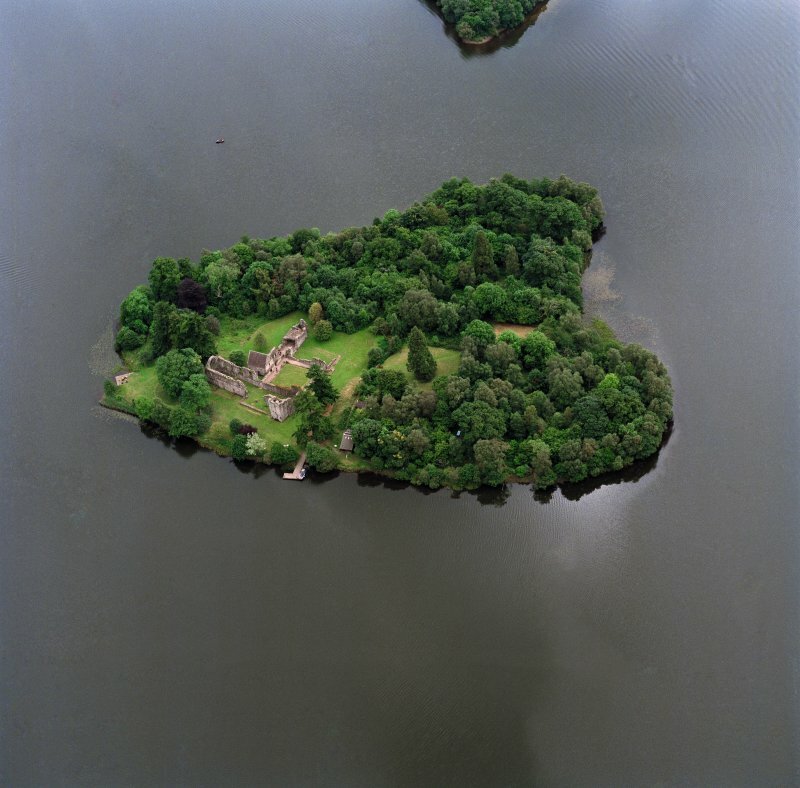 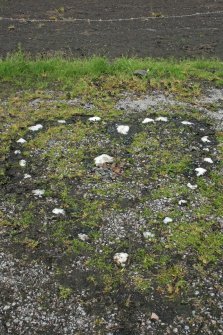 From the air, a heart and flower design in fields near Loch Ussie becomes clearly visible, while the site of Inchmahome Priory is revealed as a heart-shaped island. 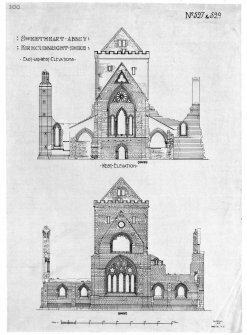 RCAHMS also maintains an active digitisation programme of its Collection items, copying photographs and historic views, photograph albums, original architects’ drawings, new survey drawings, engravings, sketches, books and maps. 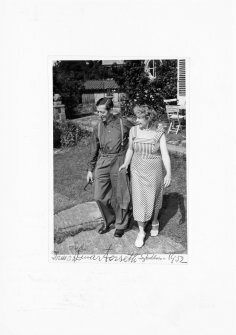 Examples of some of the more personal images from our photographic albums offer a glimpse of love in years gone by. 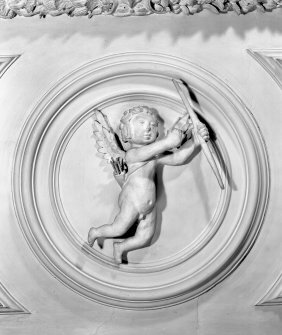 Can you spot the romantic connections in our eclectic selection of Valentine’s images? Detail of carved marriage lintel above the entrance to the Mill Wynd wing of the Stag Inn, inscribed 'IL.EF 1680', Falkland. 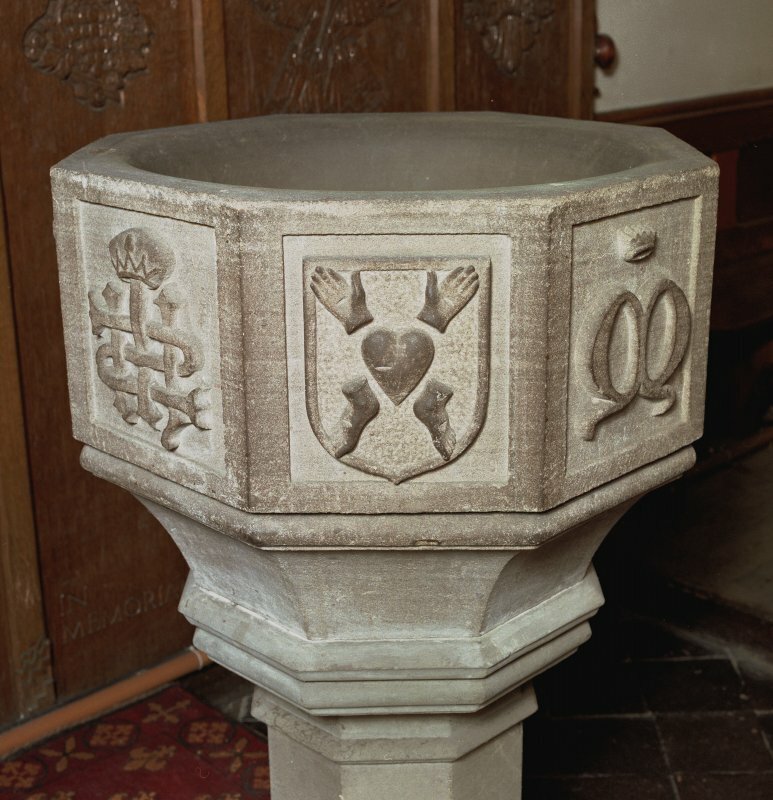 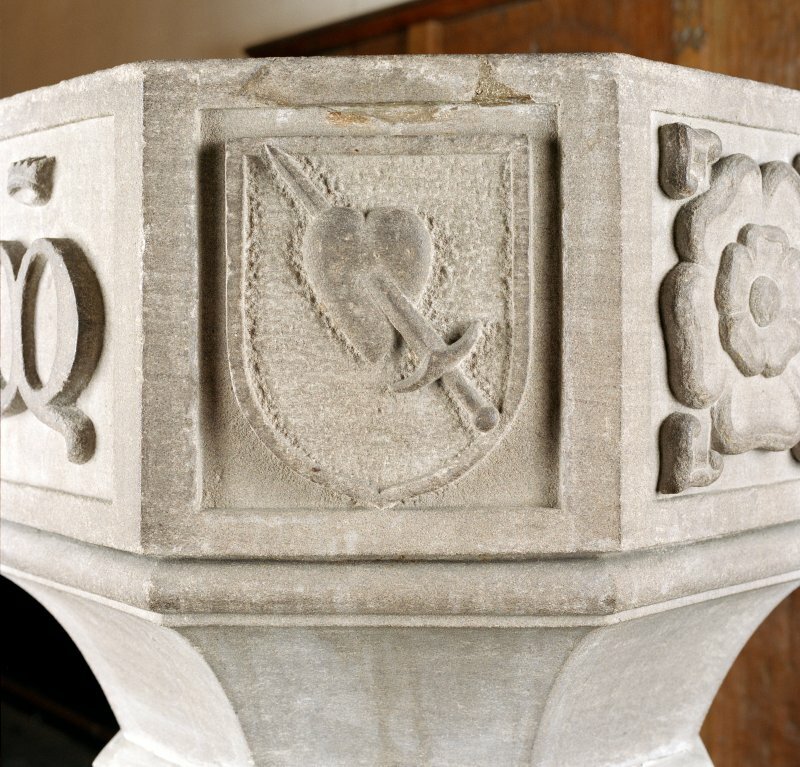 Font from Kinkell Old Parish Church now in St John's Episcopal Church, Aberdeen. Detail of panel displaying the Arma Christi. Oblique aerial view centred on the remains of Inchmahome Priory, taken from the North West. 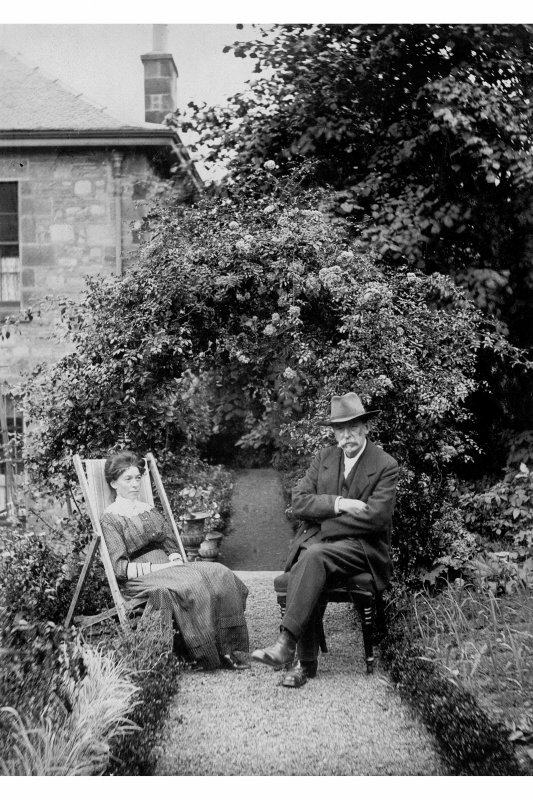 View of man and woman sitting in garden at Hillside, 44 The Causeway, Edinburgh. Detailed view of a cherub on the west fireplace in the first floor drawing room of Egremont House. 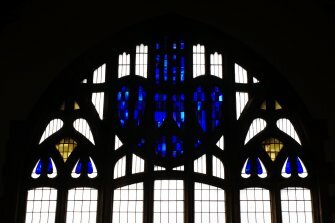 View of stained glass window in entrance hall of Cairndhu House. 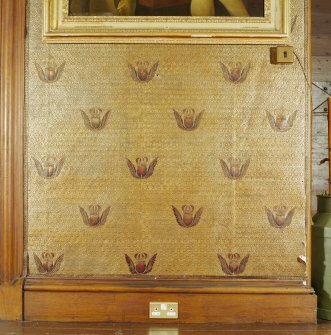 Showing head studies representing Cheer, Purity, Truth and Strength and full-length figure studies of Fortune, Love, Fame and Plenty. Detail of painted ceiling in east garden pavilion at Traquair House depicting the 'toilet of Venus'. 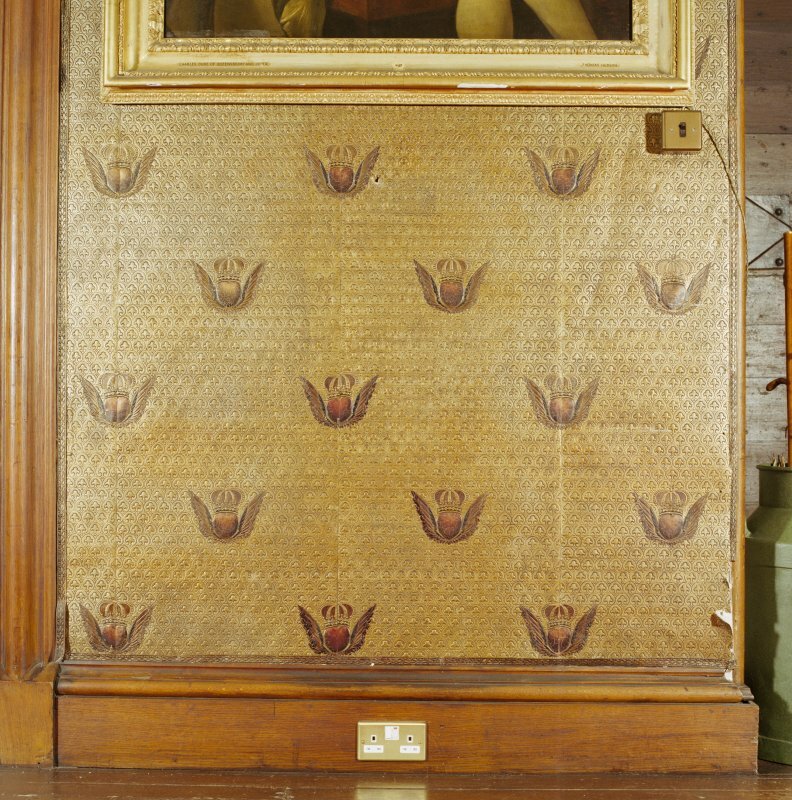 Detail of wallpaper in the principal floor front hall of Drumlanrig Castle. Detail of rainwater head on the North facade of Drumlanrig Castle. Detail of Douglas hearts in the ceiling plasterwork at Drumlanrig Castle. 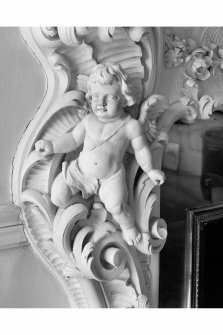 Detail of plaster cherub in the Tapestry Room of Prestonfield House. 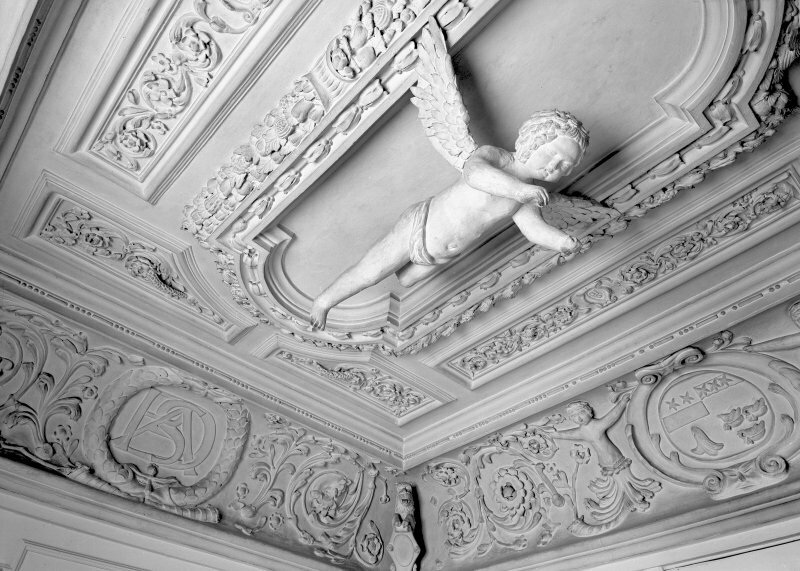 Detail of decorative ceiling in the cupid room of Prestonfield House. 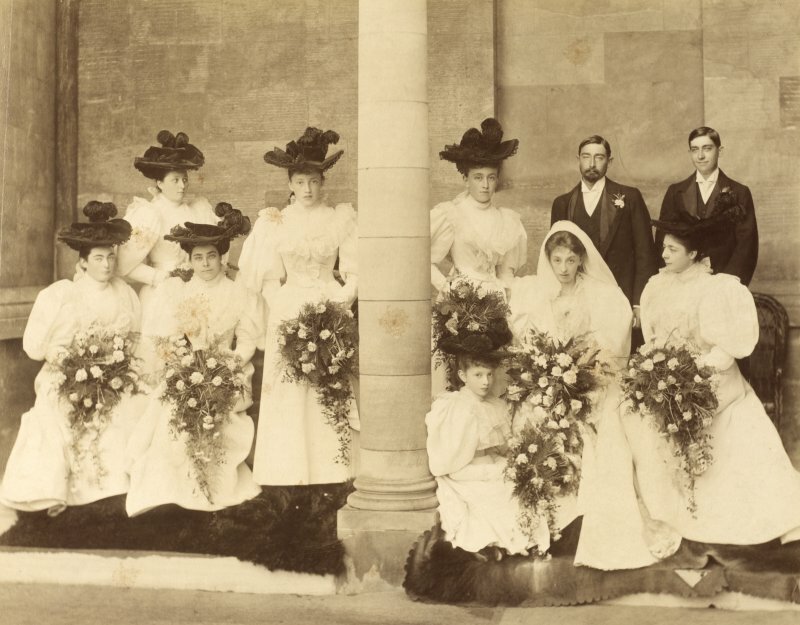 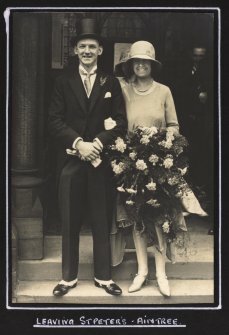 The wedding of Elena Cecilia Anne Kinloch, daughter of Sir George Kinloch, and George Palmer, civil engineer outside Meigle House, Perthshire. 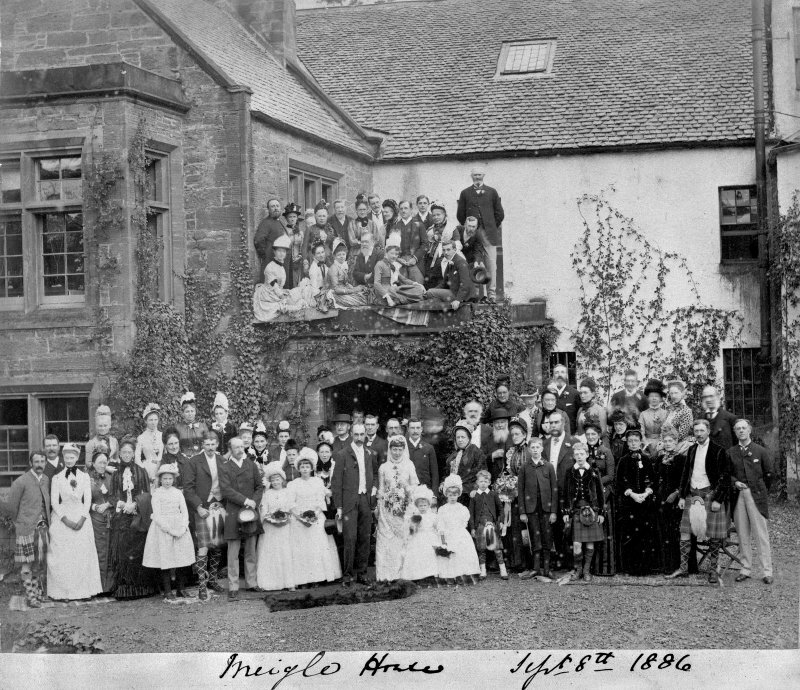 Titled: "Meigle House Sept 8th 1886". 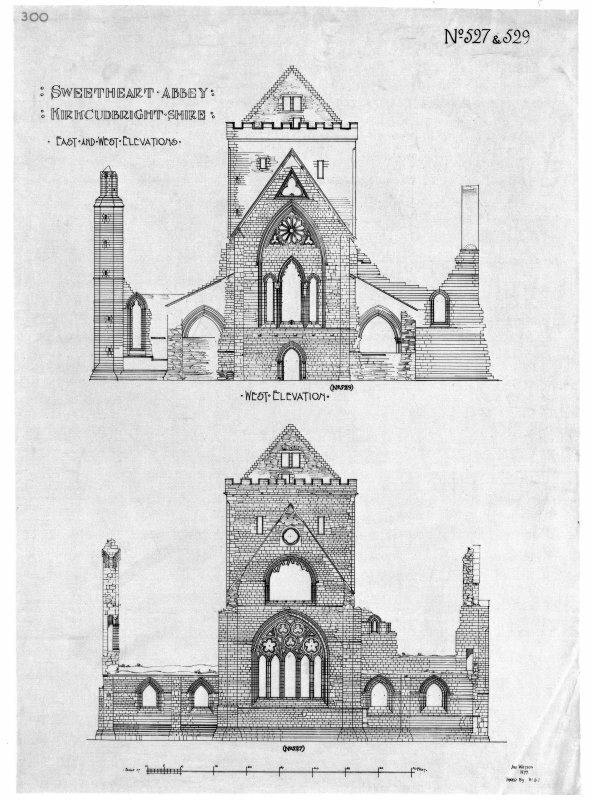 East and West elevations of Sweetheart Abbey. 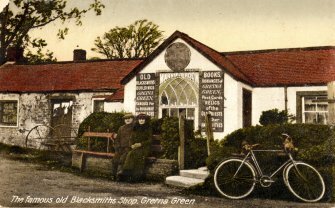 Postcard showing general view of the Old Blacksmiths Shop, Gretna Green. 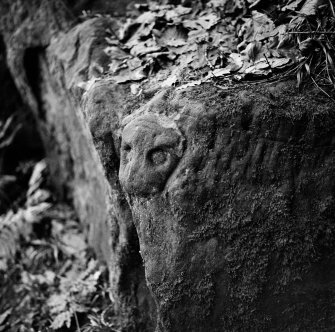 Carved head on stone in Roslin Glen. 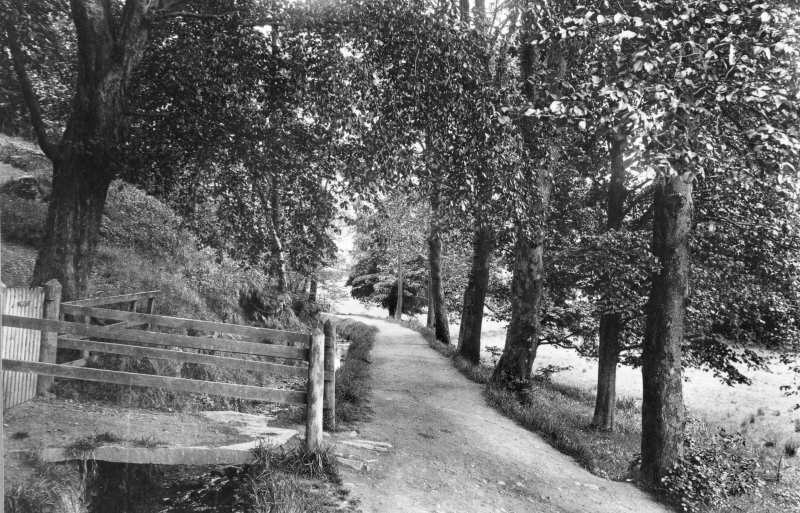 Locally known as 'Lover's Leap'. 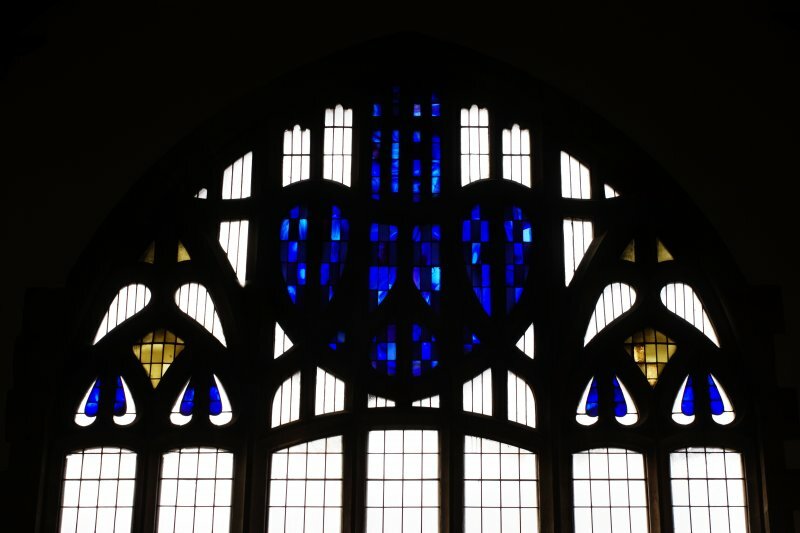 Interior view of Queen's Cross Church from the East showing detail of heart designed stained glass window. Detail of "ALL THE NOBLE SENTIMENTS OF MY HEART..." plaque in the garden of Little Sparta House. View of the Swedish artist Einar Forseth and his wife. 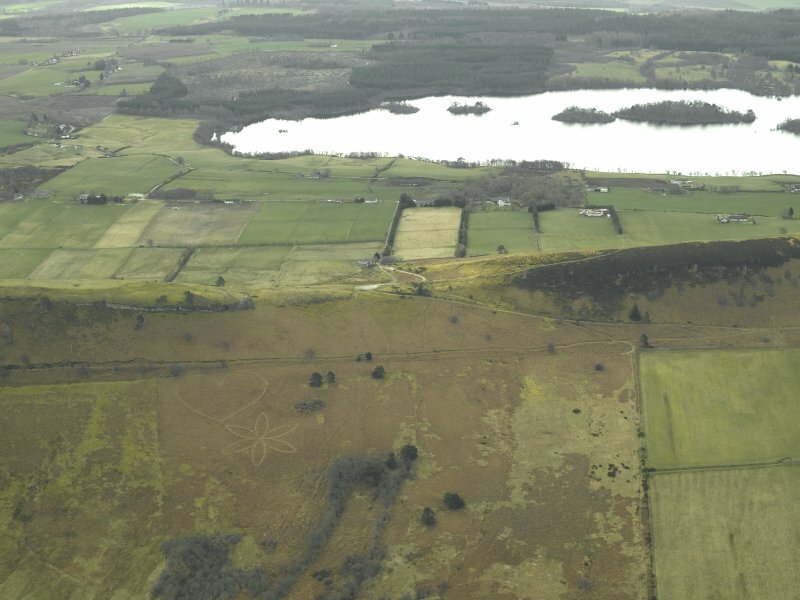 General oblique aerial view looking towards Loch Ussie centred on the vegetation marks of the heart and flower (centred around NH 5012 5853), taken from the North West. 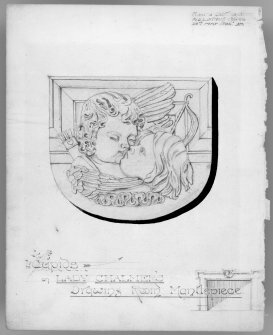 Drawing of Cupid and Psyche plaque design. 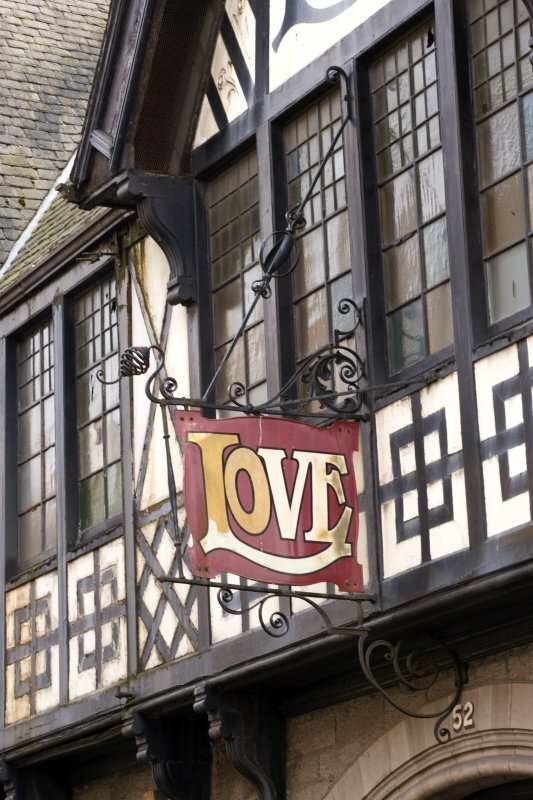 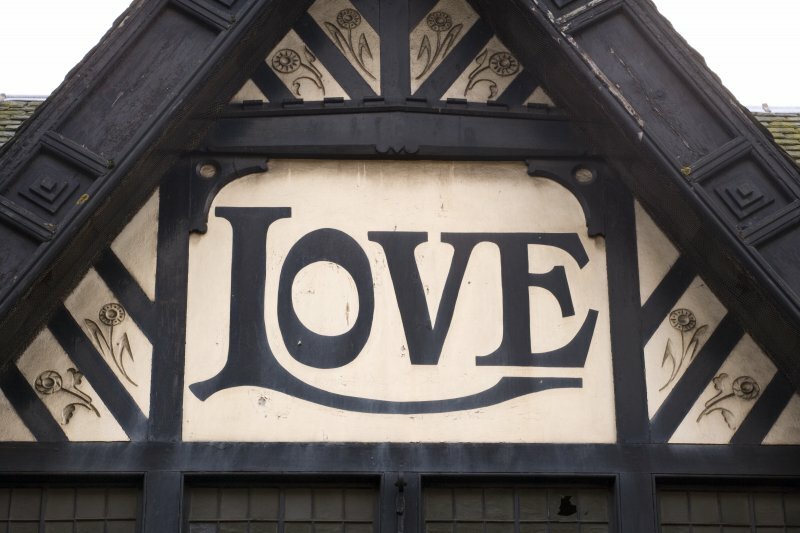 Detail of sign for Love's Auctioneers, Perth. Detail of sign for Love's Auctioneers Perth. 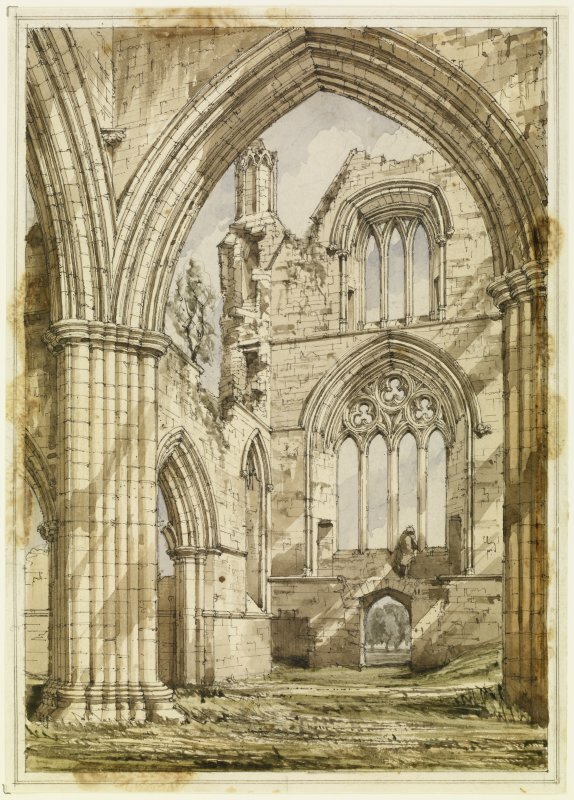 Sweetheart Abbey by R W Billings, 1848. The preparatory drawing for the engraved plate for 'The Baronial and Ecclesiastical Antiquities of Scotland. 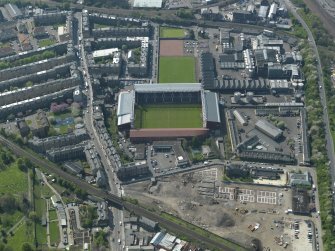 Oblique aerial view centred onTynecastle Park, Heart of Midlothian Football clubs stadium, with the distillery adjacent, taken from the East North-East. 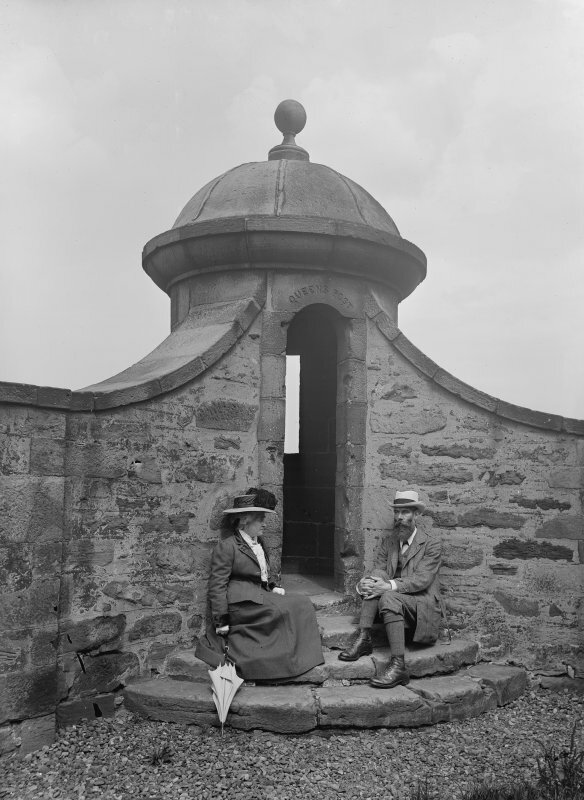 View of the Queen's Post at Edinburgh Castle with couple sitting either side. 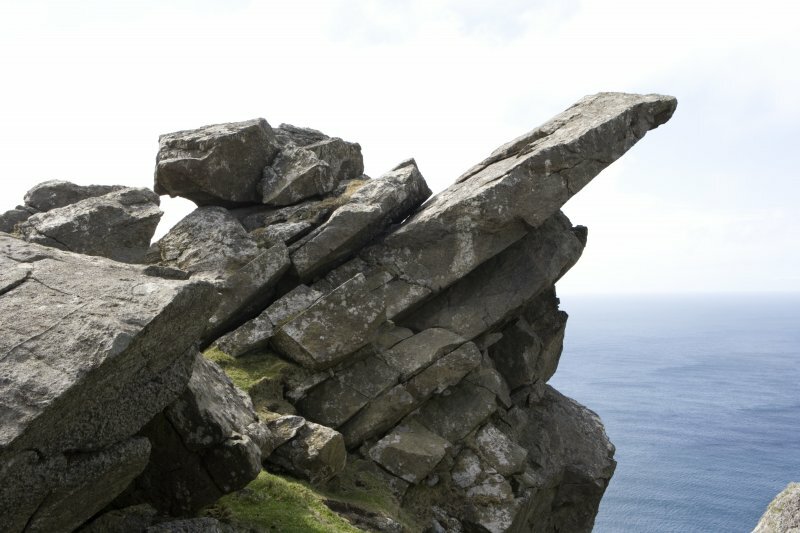 View from North East of the Lover's Stone, Hirta, St Kilda. 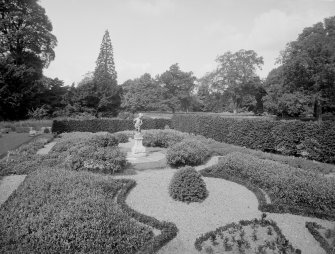 View of garden with Cupid figure at Carberry Tower. 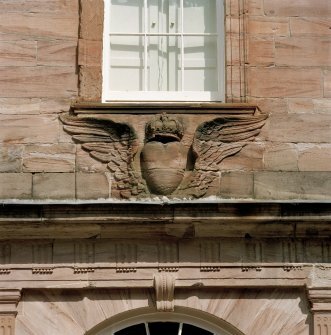 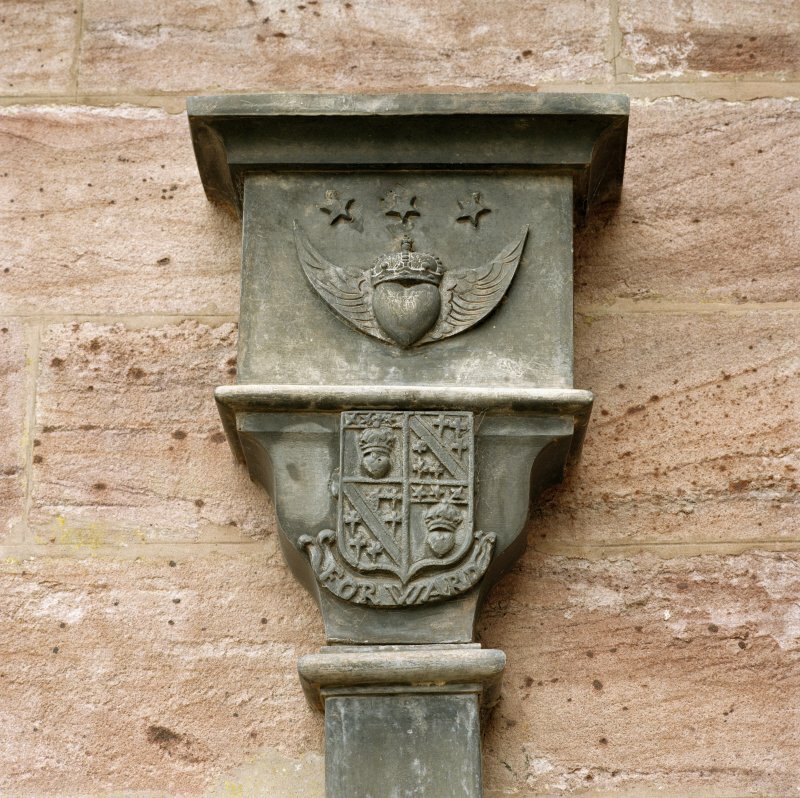 Detail of coat of arms above central arched window on north wall of the courtyard at Drumlanrig Castle. 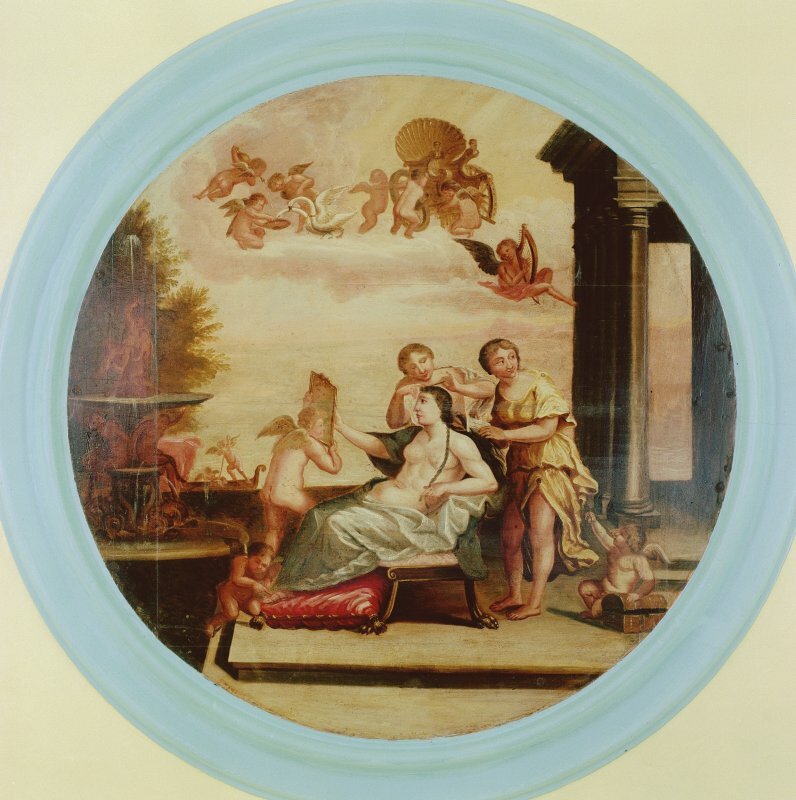 Bonnar and Company's design for the Triumph of Galatea. 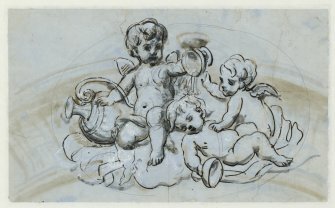 Produced for the Dublin Exhibition, 1865. 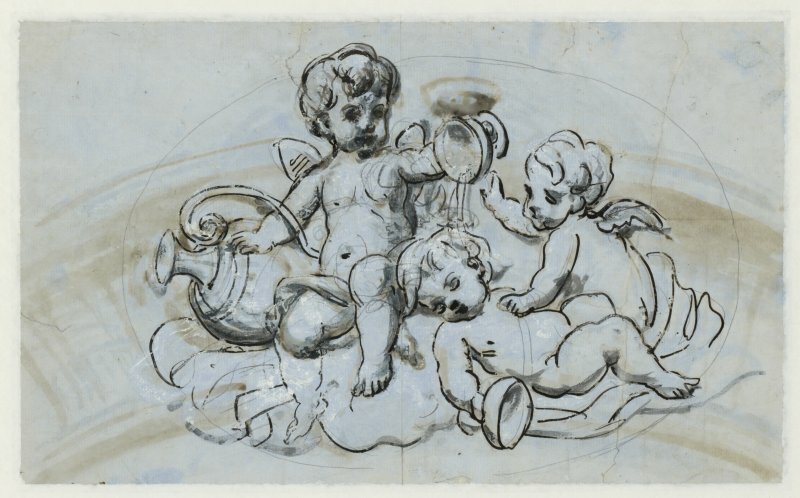 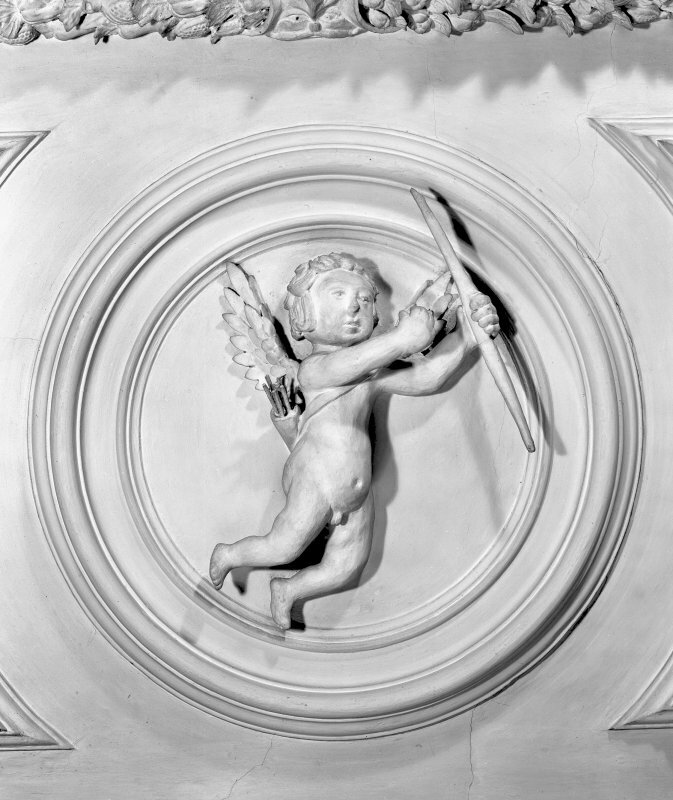 Design for cornice with cherubs by Bonnar and Company. View of Keills Cross. 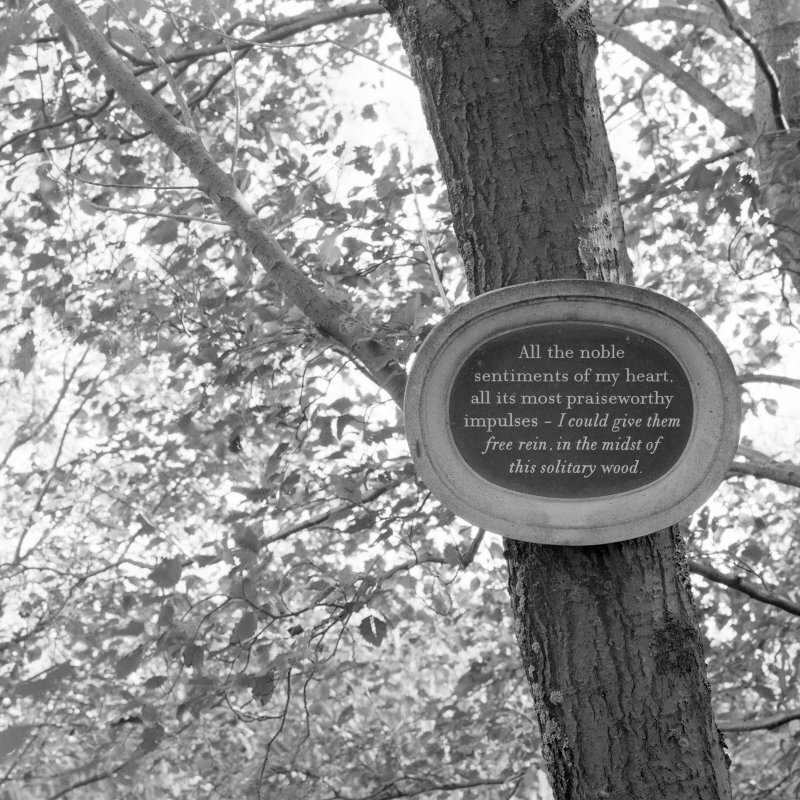 Titled: '179. 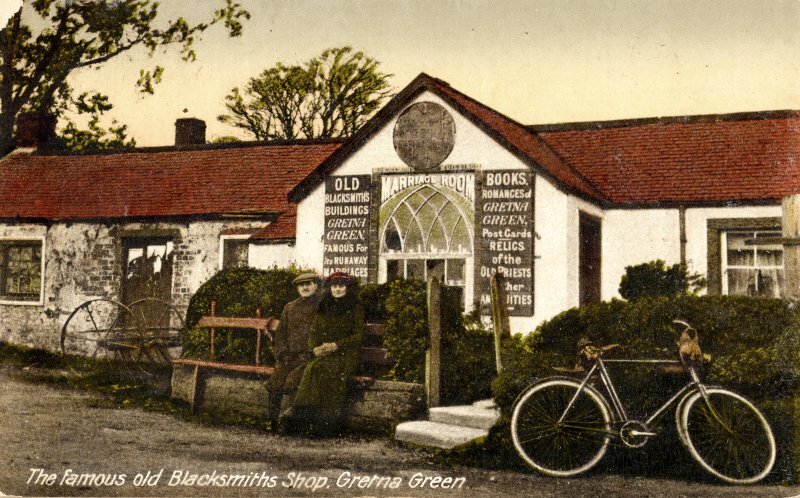 At Keills, North Knapdale'. 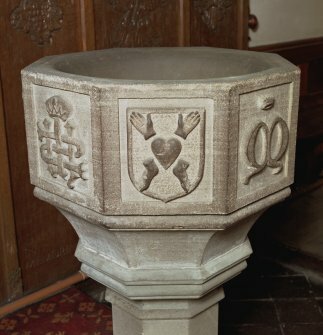 Font from Kinkell Old Parish Church now in St John's Episcopal Church, Aberdeen. 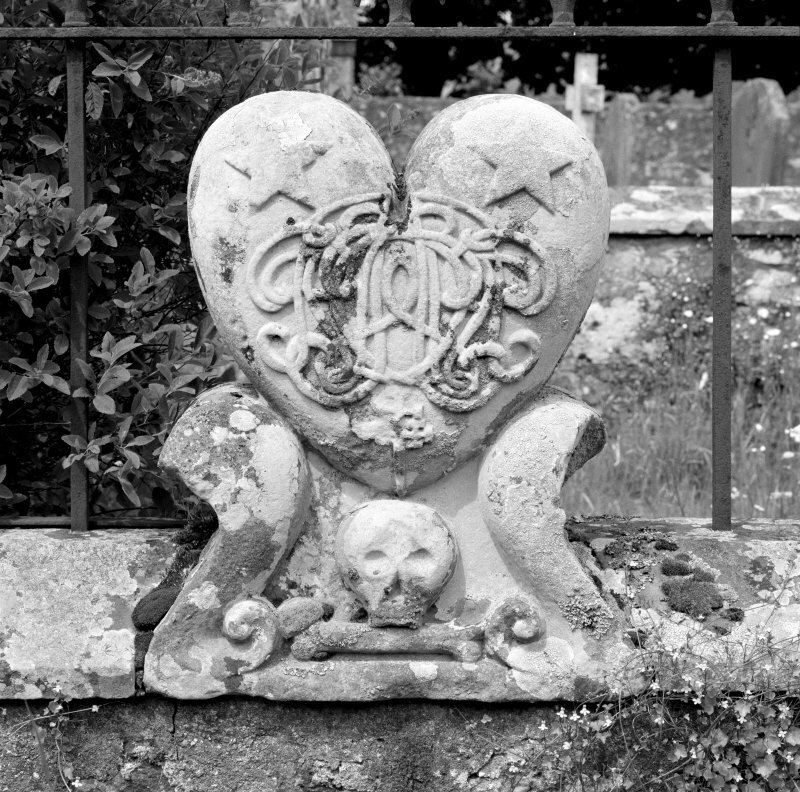 Detail of panel bearing a shield charged the heart pierced by a sword. 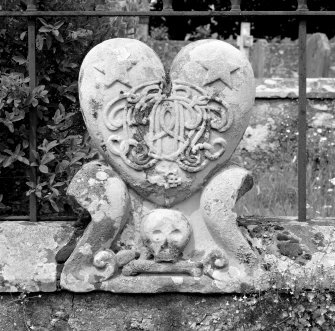 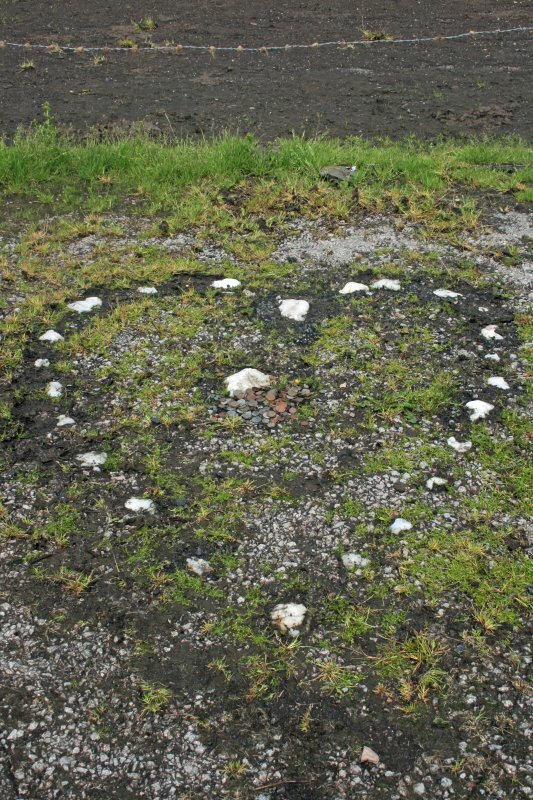 Detail of North wall of Jardine of Castlemilk memorial showing heart shaped stone. 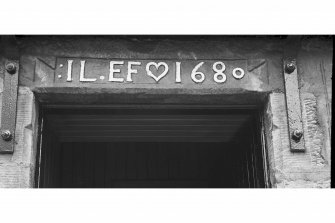 Old St Mungo's Parish Church, Kirkbank. Isa May Kennedy in wedding dress, sitting on a chair. 10 Kingsburgh Road, Murrayfield Edinburgh. 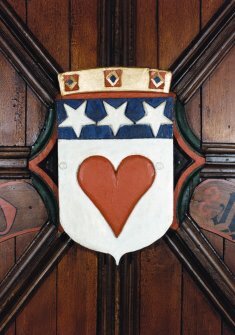 Detail of the Heraldic Shield of the arms of the Earl of Douglas at St Machar's Cathedral, Chanonry, Aberdeen. 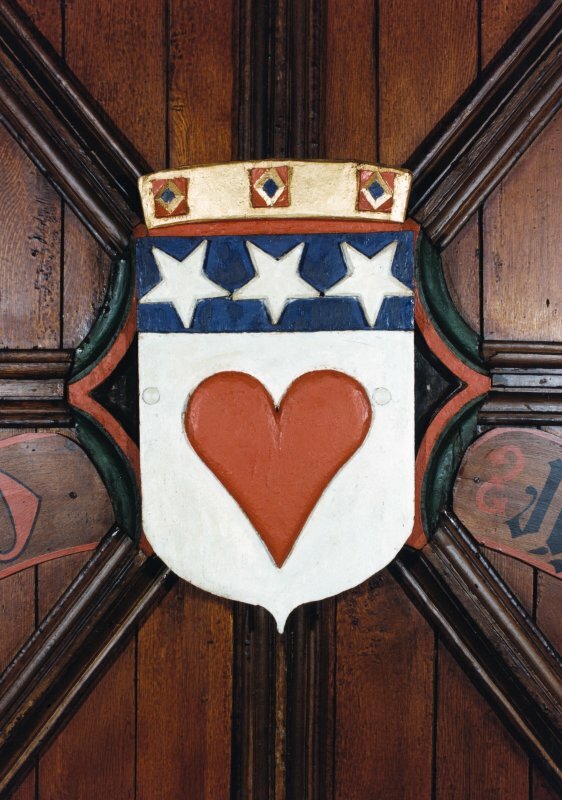 Shield: Argent, a human heart gules, on a chief azure three stars of the field. 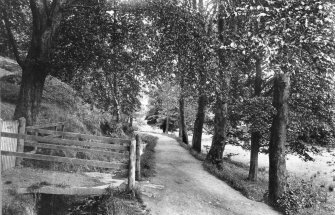 View from the East of Lover's Walk, The Meadows, Rothesay.